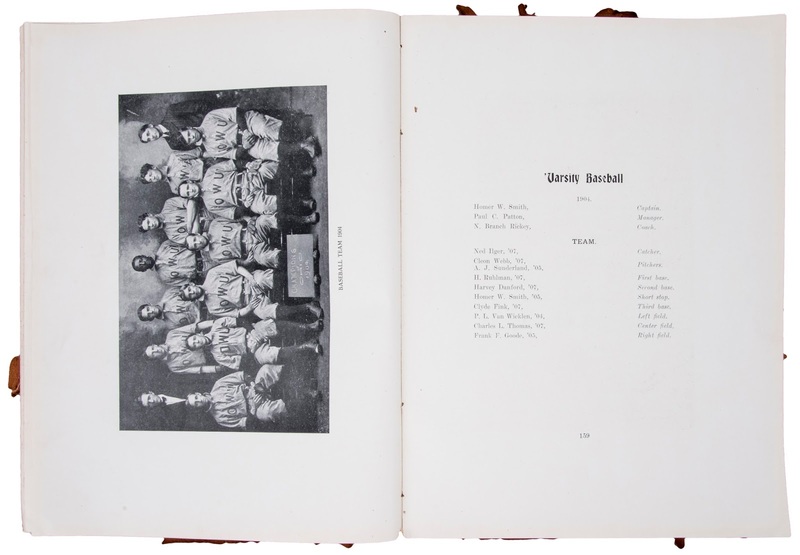 The yearbook you see above doesn't look like much, but it holds within it an important story relevant to this weekends Jackie Robinson Day. Featured above is a 1905 “Le Bijou” Ohio Wesleyan University yearbook -- the school where Dodger General Manager Branch Rickey first got the idea that Baseball should not have a color line. 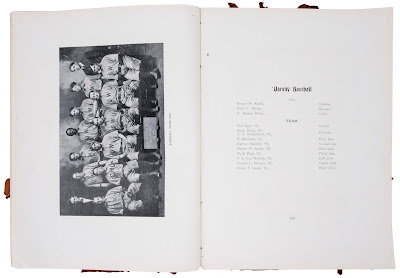 (auction link) Best yet, there is an fantastic team photo of the schools Baseball team that includes Rickey and a certain fellow who is the main subject of this story -- an African-American ballplayer named Charles Thomas. Below is the team photo from the yearbook. 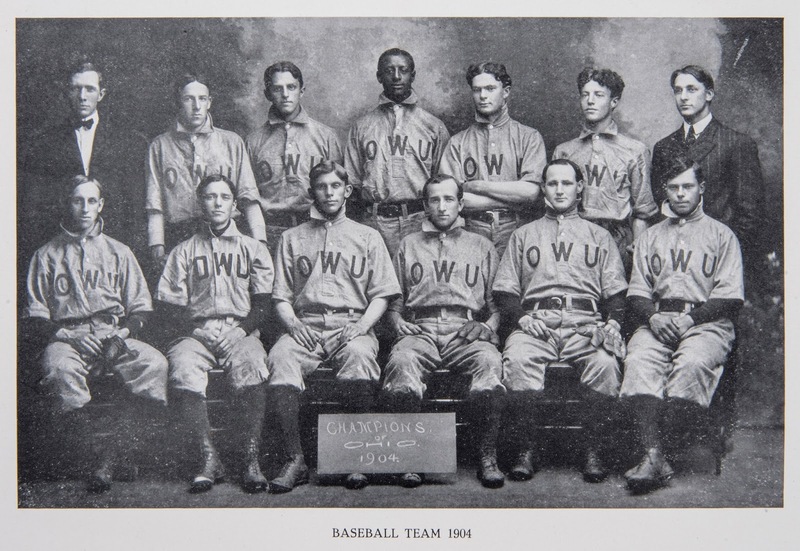 Charles Thomas is standing in the middle, and Branch Rickey is the gentleman on the right in the suit. 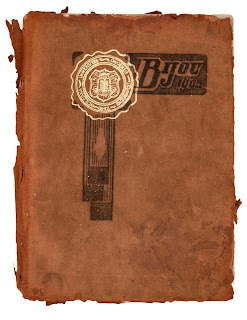 In referring to the episode in South Bend, Rickey later explained, "...whatever mark that incident left on the black boy...it was no more indelible than the impressions made on me..."
As you know it took over 40 years for it to be possible for him to make the change that would effect the entire country. And we are clearly better off for it.